Brasserie Dunham. All the way from Quebec, Canada. They were here last year, at the first edition of BXLBeerFest and they're coming back for more. 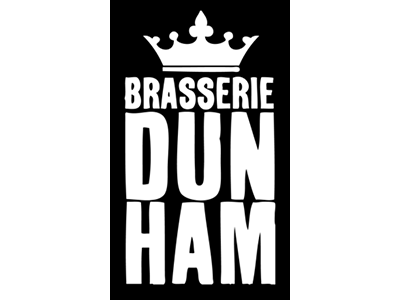 Brasserie Dunham offers a true experience of what artisan beer can and should taste like, inspired by a tradition, triggered by exploration.Pale ales, IPAs, Saison or farmhouse beers, wild fermented, real fruit beers, stouts,....you name it they got it! Come have a sip of this nectar for the people at BXLBeerFest!